FEB190575 - The newest Earth One original graphic novel is now available in trade paperback with an all-new origin for the Emerald Warrior! 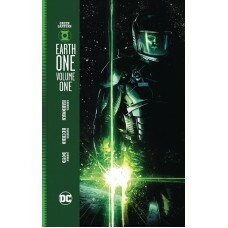 Hal Jordan yearns for the thrill of discovery, but the days when astronaut and adventure were synonymous are long gone. His gig prospecting asteroids for Ferris Galactic is less than fulfilling-but at least he's not on Earth, where technology and culture have stagnated. When Jordan finds a powerful ring, he also finds a destiny to live up to. There are worlds beyond his own, unlike anything he ever imagined. 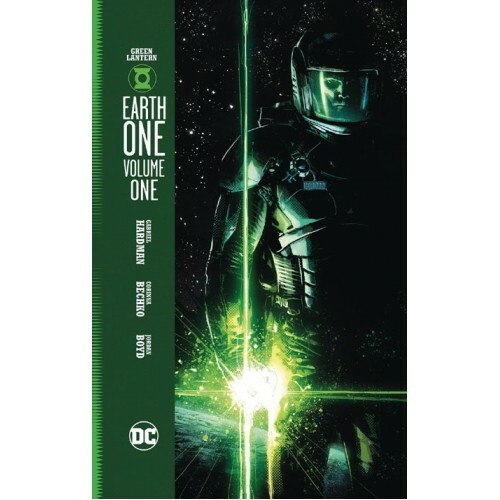 But revelation comes with a price: the Green Lantern Corps has fallen, wiped out by ruthless killing machines known as Manhunters. The odds against reviving the Corps are nearly impossible...but doing the impossible is exactly what Hal Jordan was trained to do!